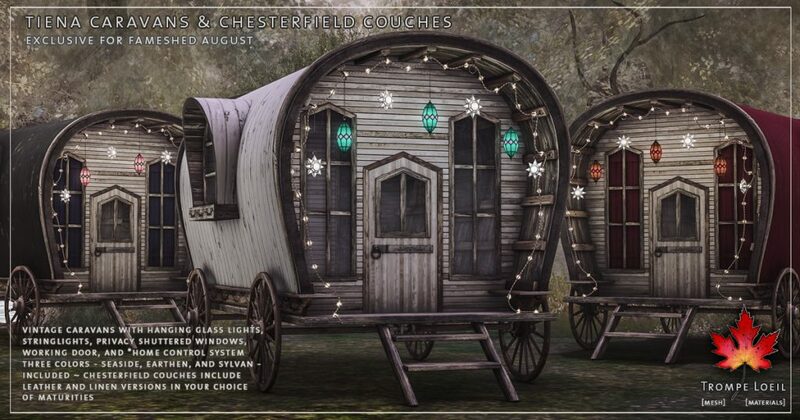 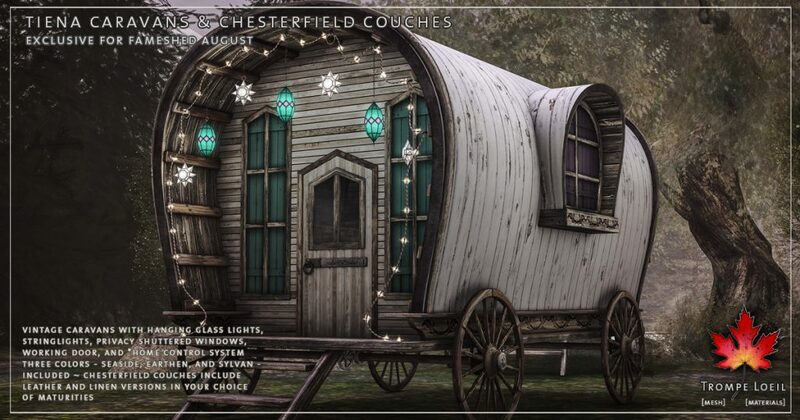 A traveling vagabond, a fortune teller in the deep dark woods, or the funkiest campsite at the summer festival – the Tiena Caravans and coordinating Tiena Chesterfield Couches will set the stage! 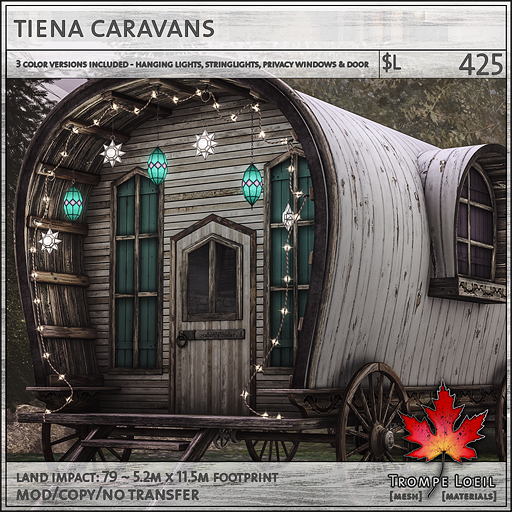 The Tiena Caravans sparkle in three coordinated color versions – seaside, earthen, and sylvan – with matching glass pendant lights and delicate stringlights to light the way. 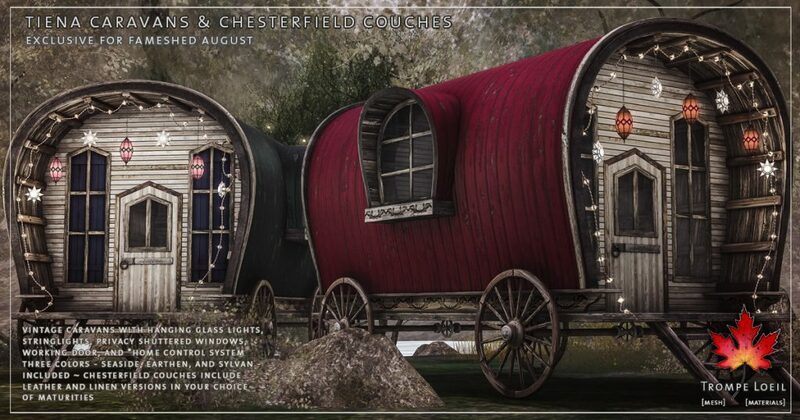 Each single room caravan includes locking door, privacy windows, and our *home control system. 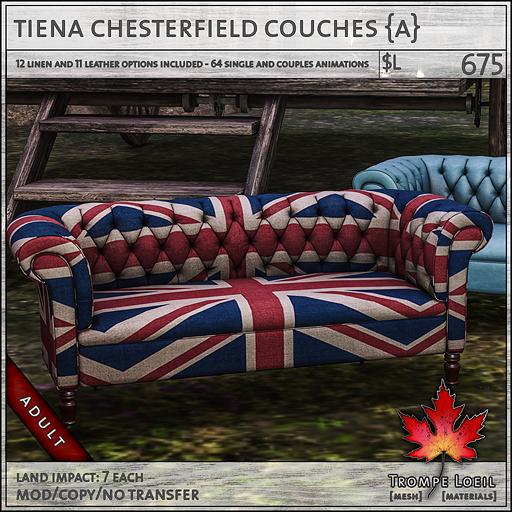 The matching Tiena Chesterfield Couches are a vintage find in both linen and leather finishes, with tons of color and pattern options and your choice of maturities for 2! 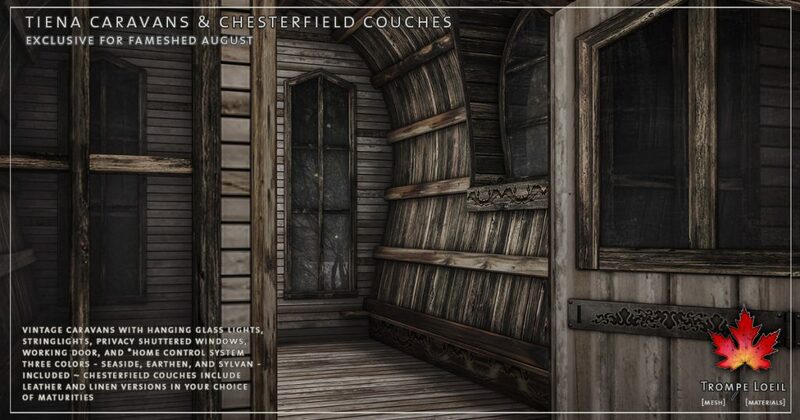 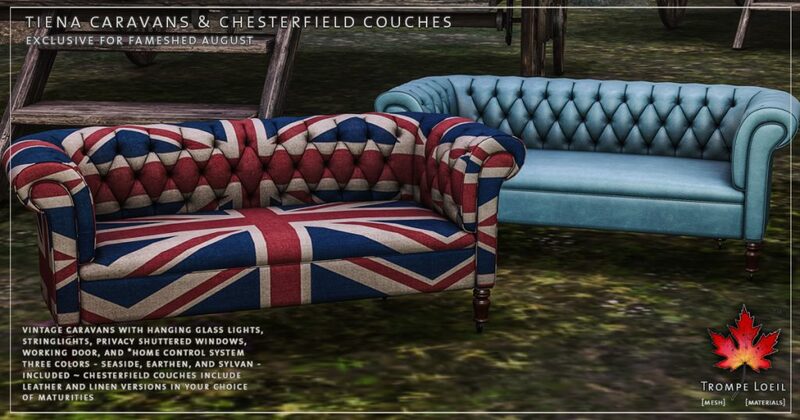 Now available at the Trompe Loeil Mainstore!